Rachel is a perfect example of how even if someone has multiple ongoing dental issues, they can still get a truly beautiful smile with the right dentist. 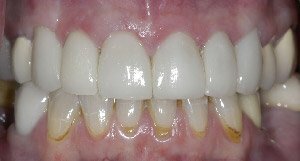 Rachel’s teeth had issues like decay, cracks, gum recession, and she had a few failing restorations to boot! 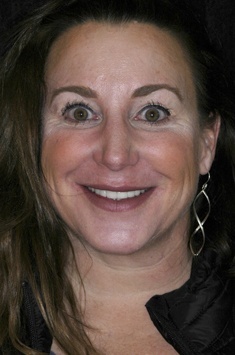 Working with her, Dr. Boehmer was able to put together a unique smile makeover plan that not only improved her dental health, but her appearance as well. Rachel received a gum graft as well as a number of custom-made restorations, and as you can see, the difference is quite stark. 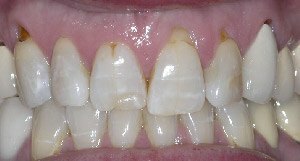 Rachel says she loves how her teeth look now, and it feels great to not have to worry about her dental problems anymore. If you’re ready to hit the “reset” button for your smile just like Rachel, contact Dr. Boehmer today.